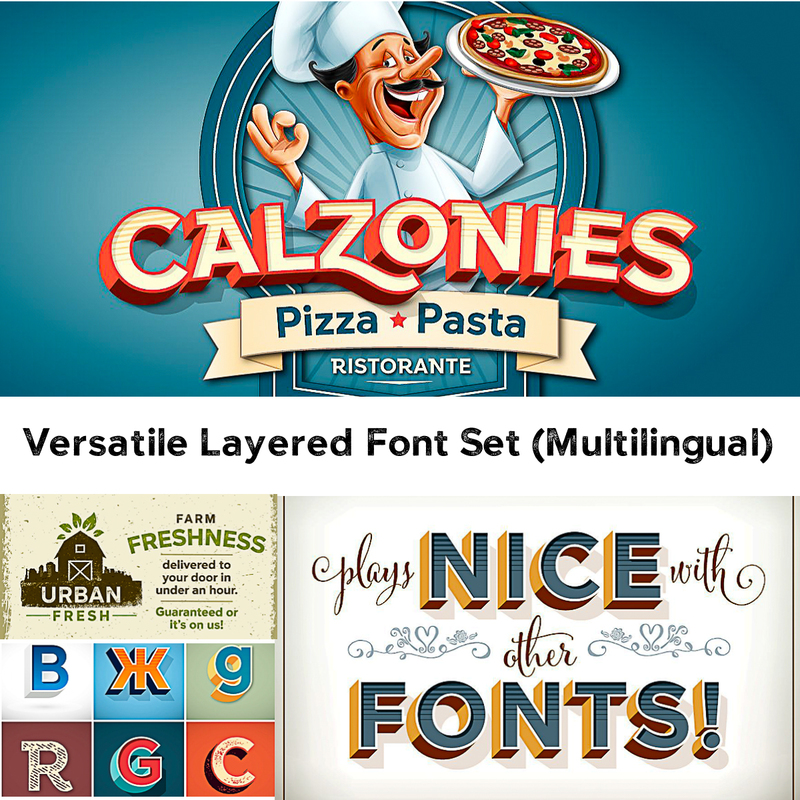 Introducing Versatile Bold Font Set. While other sans-serif fonts tend to be rigid and cold, Versatile stands out with it’s warm and natural feel. It’s generous x-height aids in its legibility and function, and the forms are modern yet classic allowing this font to live up to its name as a truly versatile workhorse for your next design or layout. Versatile Bold is ideally suited for advertising and packaging, logo, branding and creative industries, poster and billboards, signage as well as web and screen design. Tags: cyrillic, cyrillic font, display font, layered font, lettering font, outline font, rough, sans serif.